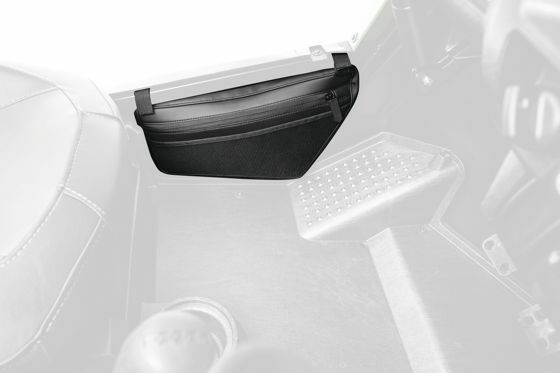 The Kick Panel Bags expand your storage capacity in an easy-access and convenient location on the kick panel below the doors. They’re made from 1000-denier coated nylon with a sealed zipper and hook-and-loop mounting straps. Sold as a pair with a MSRP of $79.95 U.S./$114.95 Canada. The Part Number is 2436-027. Boasting convenient, extra storage capacity, the Shoulder Bag is made from 1000-denier coated nylon with compression-molded accents for added durability. 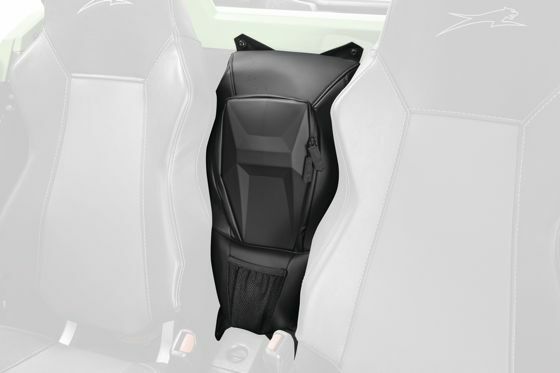 The bolt-on design provides secure storage between the driver and passenger seat. The MSRP is $89.95 U.S./$127.95 Canada. The Part Number is 2436-022. Sold as a pair, the Overhead Bags are made from tough 1000-denier coated nylon. 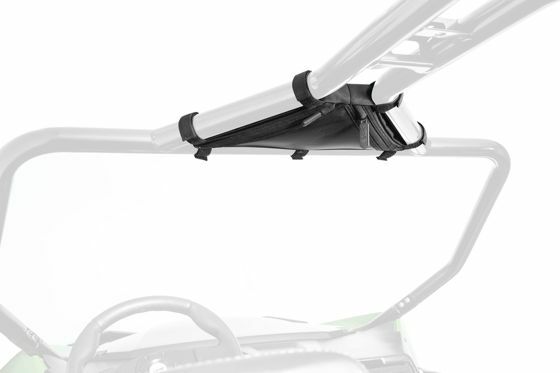 They come as a front and rear pair that mount to the ROPS canopy via hook-and-loop straps for convenient access. The MSRP is $79.95 U.S./$114.95 Canada. The Part Number is 2436-026.